It has been a little over a month since my last post, Test Kitchen: Golden Raisin Scones. My blog has been on my mind and I have wanted to post, but it has been such a crazy month that I was unable to. Also, I was barely able to bake over the last month, which was a bummer, but probably a good thing! It was a stressful month and I am positive I would have overindulged on any sweets I made. 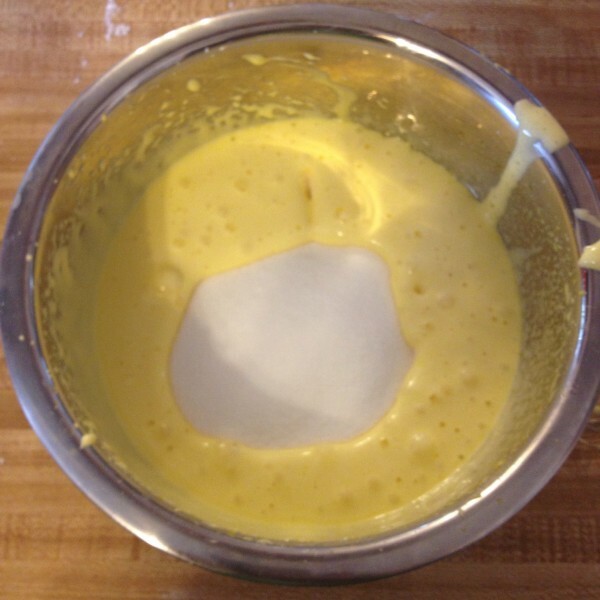 This past weekend I tested the Tres Leches Cake recipe from The King Arthur Flour Baking Companion as a gift for my husband for Valentine’s Day. Tres leches cake is also known as pastel de tres leches or pan tres leches. It is currently very popular in most of the Americas and the Caribbean. Its origin is claimed and debated by many countries, but it is very likely that it originated from similar cakes that were popular in Europe during medieval times. Although recipes of soaked cakes appear as early as the 19th century in Mexico, it became widely popular in Latin America during the 1940s because at that time Nestle published a tres leches recipe on their condensed milk can labels. It has also been argued that it originated from Albania South-Eastern Europe. 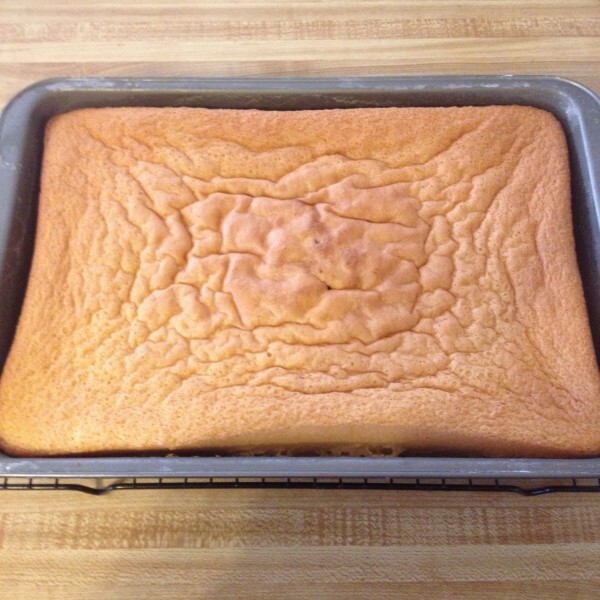 Today, tres leches recipes are typically sponge cake recipes, but at times butter cake recipes are used. 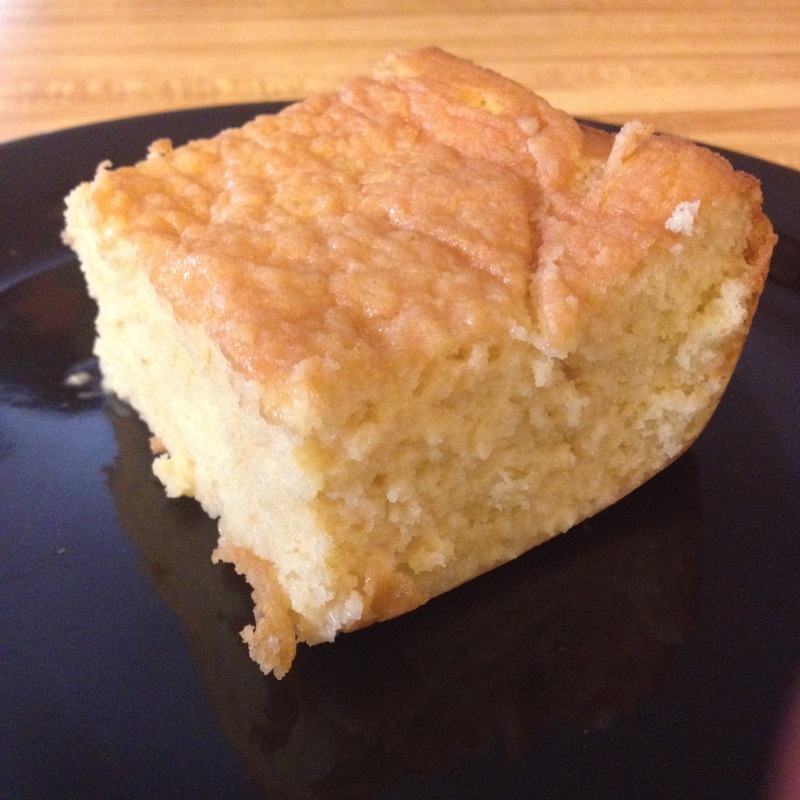 This was my first attempt at making this amazing sponge cake recipe at high altitude. 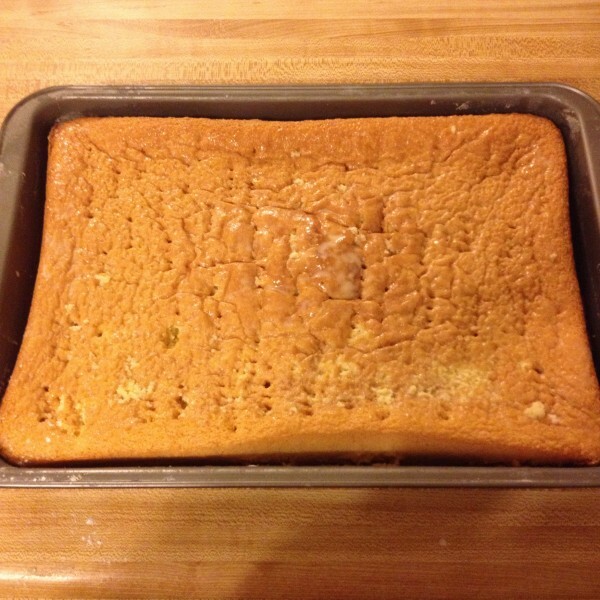 When I lived in the desert I made it numerous times without a hitch, but I will have to do some more experimenting to get the sponge cake to my liking at 9000 feet elevation. Regardless, it turned out delicious and my family is fighting for the leftovers. The recipe instructions are broken down it to three parts: the cake, the tres leches, and the frosting. My husband asked that I not frost the cake because it is pretty sweet on its own. I was originally taught this recipe by my sisters who did exchange trips to different parts of Latin America and they never frosted the cake. Typically when bought at a bakery or grocery store it is frosted, but I wonder if that is traditional in Latin America. I had my step-daughter help me and she seemed to really enjoy the experience. It was great bonding time which I am sure we will do more of in the future. First we separated the eggs and beat the egg whites and cream of tartar. The result was supposed to be soft peaks, but I think we beat the eggs a little too long and the actual end result was stiff peaks. As mentioned before, I live at an extremely high altitude and usually adding two eggs to my cakes helps them to not rise too quickly so they do not collapse. I did not make any adjustments to ingredients during this first attempt at the recipe, besides eliminating almond flavoring because of allergies. And of course it collapsed. I will just have to make more cake! I did increase the oven temperature by 15 degrees and decreased the baking time by 5 minutes. I did this in an attempt to set the structure of the cake before it could rise too fast and then collapse. My thinking was that if the temperature was higher, theoretically it would need less baking time, thus the subtraction of baking time. High-Altitude Adjustment: Increase temperature and decrease baking time. The recipe calls for beating egg yolks “until they’re pale yellow and fluffy” and honestly I am not sure if I reached this stage. A long period of time had passed and I was not seeing what I would consider “fluffy”, but after glancing quickly online it seems that other pictures posted looked similar to what our result was. 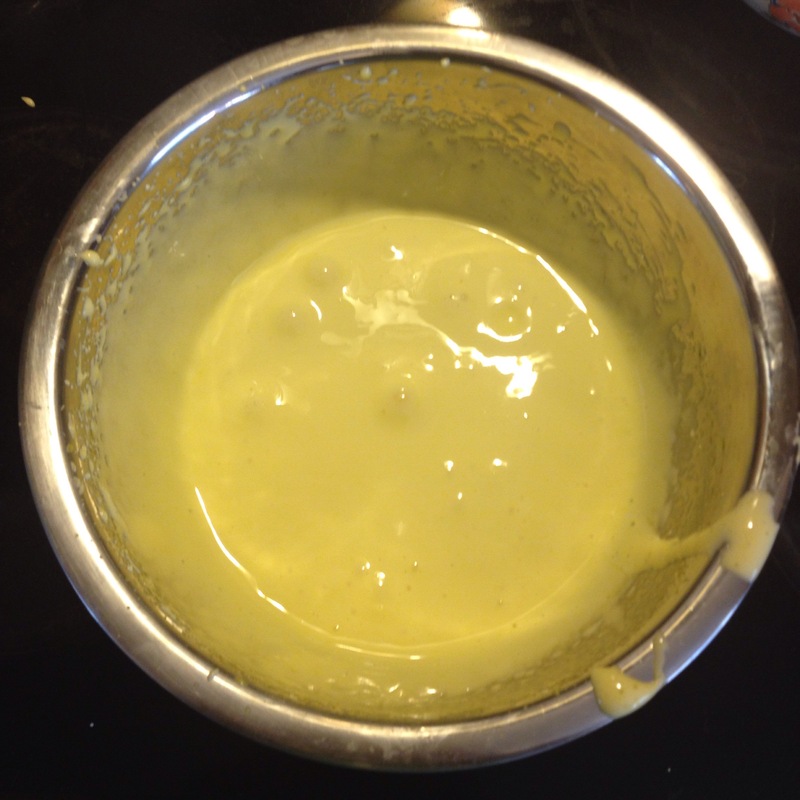 At this point, I added a 1/3 cup of cold water and vanilla extract to the egg yolk mixture and then stirred in the dry ingredients. 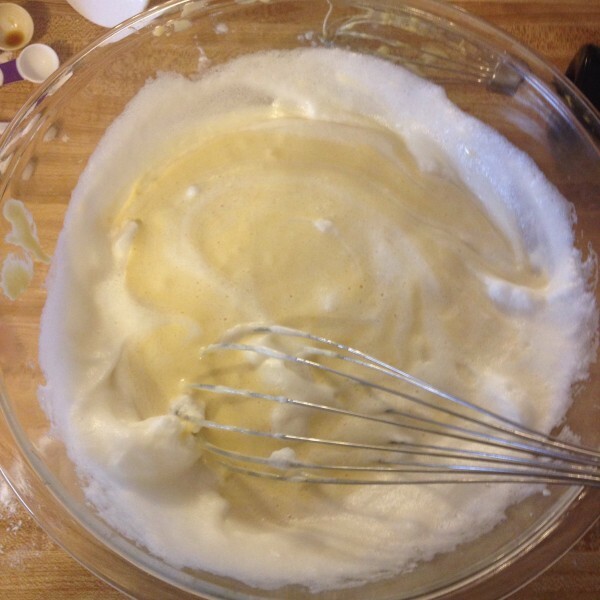 Following that, I whisked the beaten egg whites into the egg yolk mixture. I was surprised how heavy the mixture was and it did take some effort to combine the two. After this, I poured the batter into a greased and floured 9 by 13-inch cake pan and baked the cake at 365 degrees Fahrenheit for 25 minutes. The cake did collapse, which was a little disappointing, but in reality expected because the ingredients had not been adjusted. 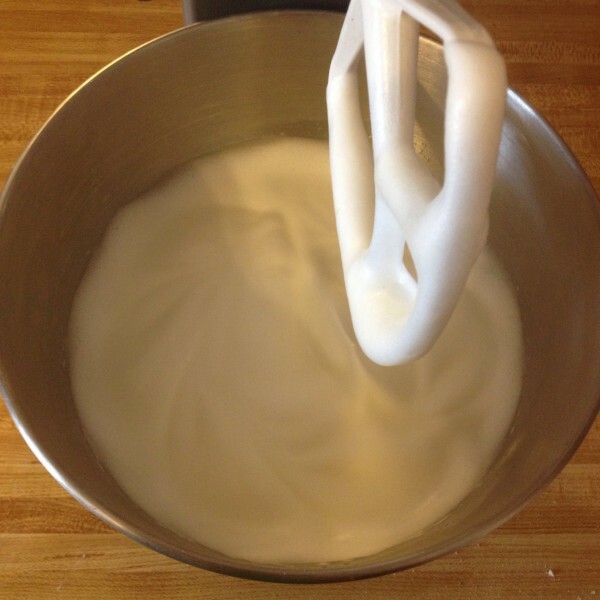 After allowing the cake to cool, I poured the mixtures of the “Three Milks” (tres leches) over the sponge cake slowly allowing the milk to soak in. 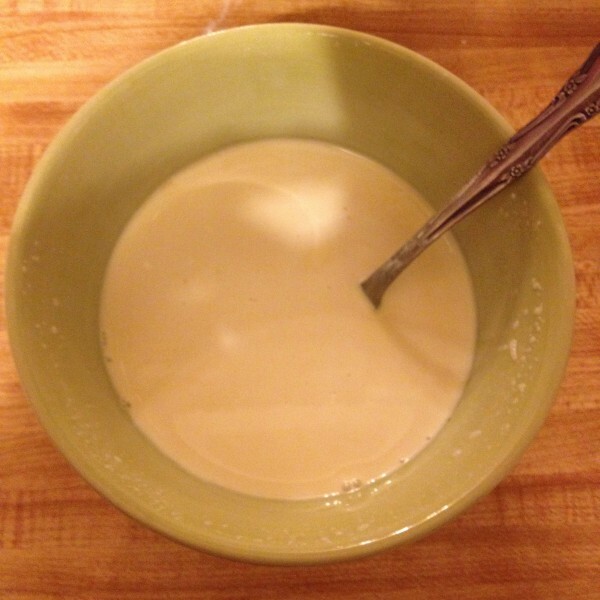 The three milks mixture is a combination of heavy cream, sweetened condensed milk, and evaporated milk. Vanilla extract is also added to the milk combination. The The King Arthur Flour Baker’s Companion recipe calls for refrigerating the cake for a few hours before frosting or eating. As I mentioned before I did not frost it at the request of my husband. Honestly, I think it is sweet enough without a frosting. And I am a frosting addict, so that surprises even me. Next time I might try the frosting just so I can get a truly honest opinion of this recipe. My family loved it in the end. They described it like cake that already has soaked up melted ice cream. However, I noticed the toughness in some areas because of the cake collapsing, but honestly it still tasted great. Next time I will make the necessary adjustments to prevent this from happening again and make another post to update my readers. Have you ever tried Tres Leches Cake before? Do you prefer it with or without frosting?